Posted by Michael La Prairie on Monday, August 27th, 2018 at 7:43pm. A survey of residents in two of Canada's hottest housing markets suggest that even some homeowners in Toronto and Vancouver think housing has become too unaffordable and prices should drop. The Angus Reid Institute's "Pain Index" scores people's answers to questions about housing and transportation. While responses in each city differ somewhat, the majority of respondents in both saw housing as the paramount concern residents are facing. In Toronto, housing affordability stole the top spot from transportation and traffic concerns, which dominated when Angus Reid last gathered responses on the same topic in 2015. "So it is a progression of pain for both regions, where Vancouver really seems to be settling in, resigned to living with this chronic pain," said Angus Reid executive director Shachi Kurl. "The people of Greater Toronto are certainly more alive to it than they were three years ago." The survey notes that housing prices in both cities have climbed sharply in recent years. Tsur Somerville, senior fellow at the University of British Columbia's Centre for Urban Economics and Real Estate, says he was surprised by how many homeowners thought a drop in real estate prices would be beneficial. "The consistent message here … is that this is an important issue that needs to be addressed," Somerville said. 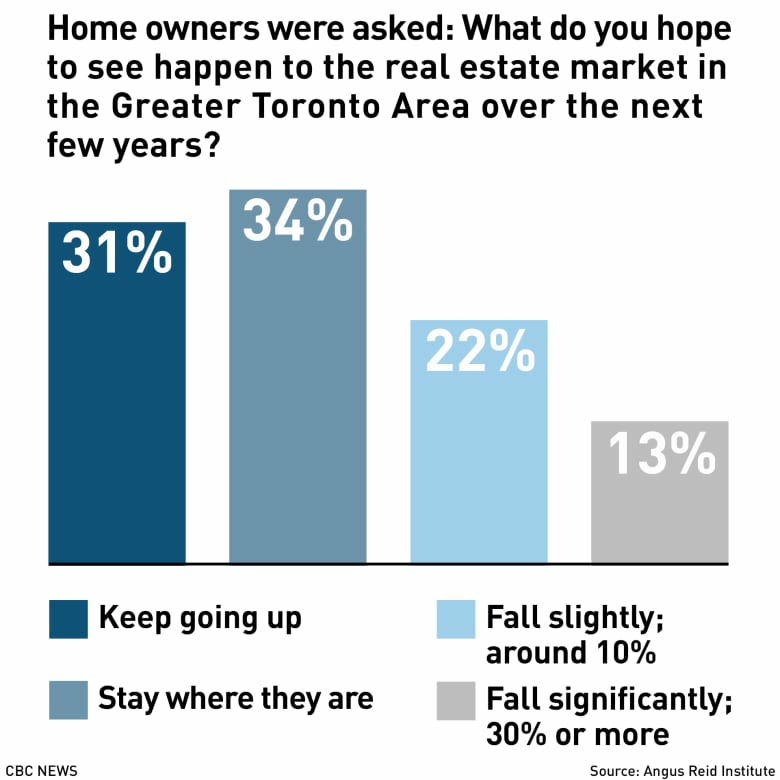 In Toronto, 56 per cent of homeowners said current housing prices were hurting the Greater Toronto Area — 13 per cent said they would like to see prices drop by 30 per cent or more, and 22 per cent said by 10 per cent or more. 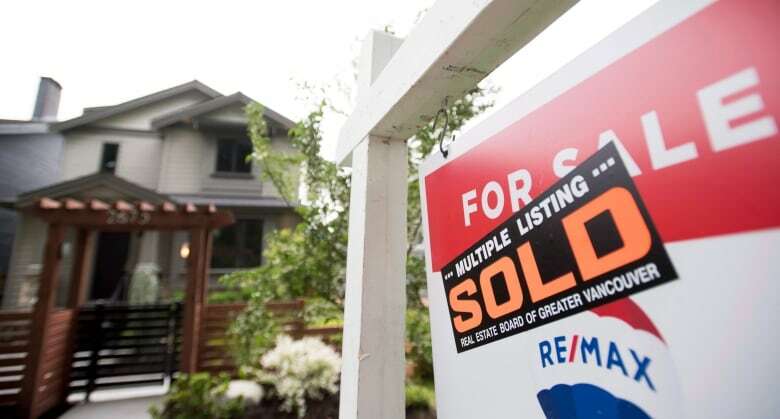 Those numbers were even higher in Vancouver, where nearly three quarters of owners said the cost of a home was "unreasonably high" — 20 per cent said prices should drop by 30 per cent or more, and 29 per cent by at least 10 per cent. Renters in both cities were significantly more likely to believe housing prices were too high and prices should drop drastically, as were younger respondents and those with lower incomes. The top three perceived causes for the rising cost of real estate were similar in both cities, but varied in terms of order. In Vancouver, most respondents saw foreign buyers as the top cause, followed by wealthy investors and the city's desirable location. In Toronto, location came in first, followed by low interest rates and foreign investors. "Foreigners are really easy to blame for things," said UBC sociology professor Nathan Lauster, author of The Death and Life of the Single Family House. 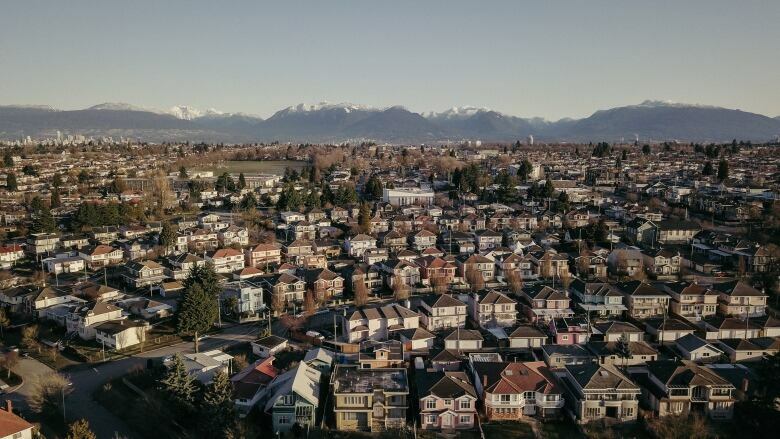 About a quarter of homeowners in Metro Vancouver own a second property, Lauster noted, adding that people often perceive immigrants and visible minorities as foreigners. The lack of housing and need to build more homes trailed the list of causes in both cities — but Lauster and many economists see it as one of the key factors driving up the cost of rent. People in Vancouver and Toronto would like to see more government intervention to help curb prices — despite skepticism that anything can be done to keep costs from rising, the study suggests. Since 2015, provincial and municipal governments in both regions have implemented measures like additional taxes for foreign homebuyers. In Metro Vancouver, housing prices have stalled and even dropped for single family homes since the policies were put in place. 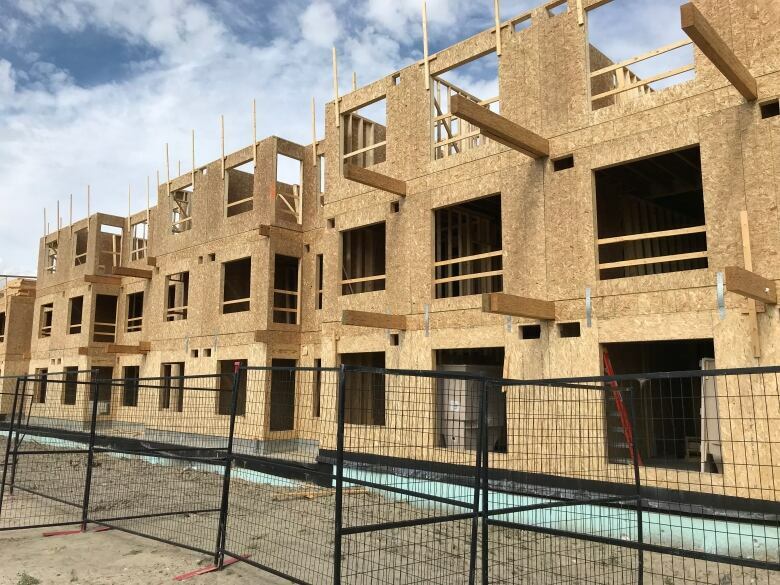 Some measures they support or would like to see in place include a speculation tax for those who don't pay taxes in their province and limiting the number of properties foreign buyers can purchase. "People are ready for bold action," said Joshua Gordon, assistant professor at Simon Fraser University's School of Public Policy. As for the skepticism, Gordon says that's likely because of disingenuous efforts from past governments that didn't enact substantive policies. "Intelligently designed policy can and will deliver housing affordability, and so that pessimism should not be an excuse for inaction and the status quo," he said. A factor in the survey that all three experts noted is that the actual personal impact of high housing costs for respondents was considerably less than how they think it affects their region. In Toronto, 35 per cent of respondents said current housing prices have a negative impact on them or their household. In Vancouver, that number was 44 per cent. "That's to be expected. People are making a choice based on the options they have," economist Somerville said. "It's kind of the natural predilection to be more positive about our own situations than about things more globally." Gordon says some people have fared well with the housing crisis, but see the struggles others are facing and recognize the broader impact it has. But Lauster has a different explanation for that discrepancy. 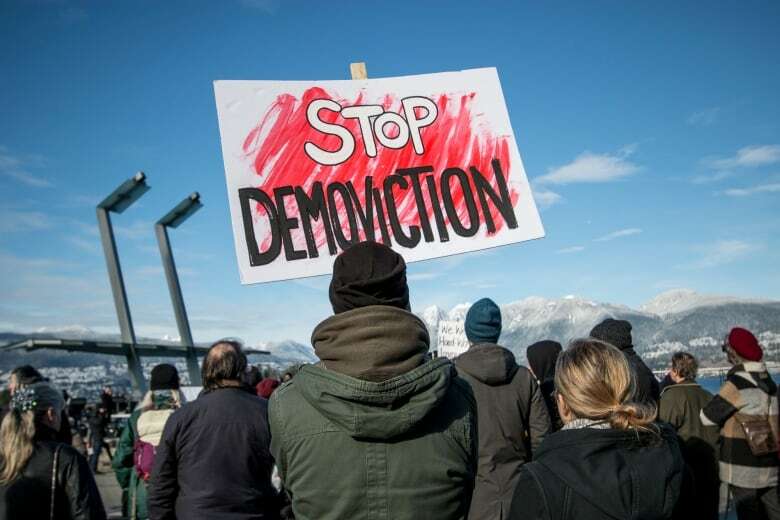 The sociologist says although there is real pain and frustration for people who genuinely can't afford to rent or live in Vancouver, that's not the case for most people. "I think a lot of Vancouverites don't recognize themselves as wealthy when in fact they are," he said. 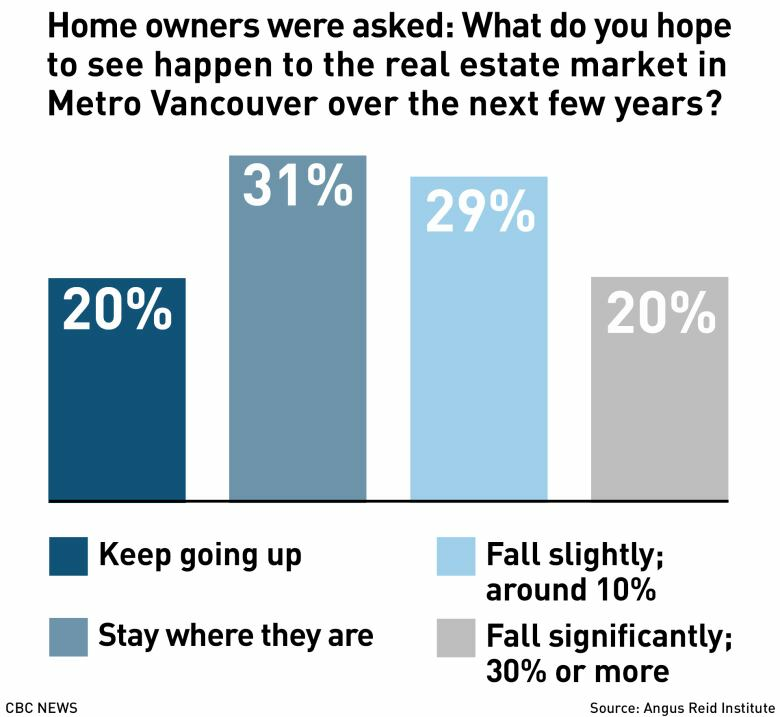 "We lose sight of the fact that actually a lot of people in Vancouver are fine." The self-commissioned Angus Reid Institute survey was conducted online from May 25-29, 2018, among a representative, randomized sample of 719 members of the Angus Reid Forum market research community. A probability sample of this size would carry a margin of error of +/-3.7 percentage points, 19 times out of 20.